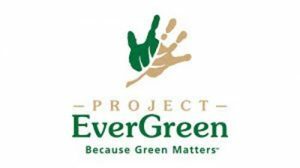 From Nov. 5-11, Project EverGreen will recognize National SnowCare for Troops Awareness Week to raise the profile of the SnowCare for Troops (SCFT) program and spotlight the efforts of the initiative’s volunteers, military families and wounded and disabled veterans it serves. Project EverGreen, in partnership with Boss Snowplow, established the SCFT initiative in 2010 to provide complimentary snow and ice removal services to help military families and disabled veterans. Now in its eighth year, SCFT has seen more than 5,000 military families and 1,500 snow removal contractor volunteers across the country register to either receive or provide services. SCFT is more than clearing driveways and sidewalks of snow and ice—it is a means to allow military families and wounded/disabled veterans to maintain their independence, and go about their daily routines taking care of family, going to work or rehabilitating service-connected injuries, said Project EverGreen.